Known for its idyllic climate, pristine beaches and dazzling array of world-class family attractions, SAN DIEGO attracts nearly 16 million visitors each year. The San Diego Zoo and Wild Animal Park, SeaWorld San Diego, Legoland California, the historic Gaslamp Quarter, Balboa Park and nearby Coronado are among the city's biggest draws. 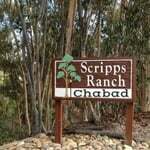 The Closest Hotel to Chabad's Headquarters - Chabad of Scripps Ranch is approxiametly a 45 minutes walk. Downtown is a major visitor destination spot, and the redevelopment activity of recent years has transformed the center city. There are many hotels within walking distance to Chabad. Chabad is minutes from the Gas Lamp quarter and Petco Park. Coronado - Connected to San Diego by the San Diego-Coronado Bay Bridge, with its distinctive curved span. Coronado is surrounded by water — the Pacific Ocean, Glorietta and San Diego bays and is home to North Island Naval Air Station and the Naval Amphibious Base. There are many hotels within walking distance to Chabad. Chabad is located on the main street in Coronado and is minutes from the beach and bay.